The experienced Florida accident injury attorneys at Gilman Law LLP are committed to helping victims of personal injury, as well as their family members, in cases involving accident injuries, car accidents, trick accidents, bus accidents, birth defects, brain injuries, wrongful deaths, and other serious and substantial injuries. Our experienced accident injury law firm offers a team of aggressive personal injury lawyers that can assist you in obtaining maximum compensation and seeking a large settlement through a personal injury trial or other litigation. Our accident injury firm has successfully handled cases against some of the world’s largest insurance companies and corporations to recover the maximum amount of financial recovery for our clients. 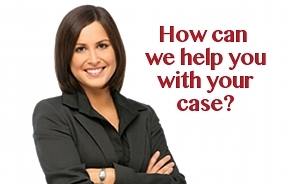 As experienced personal injury attorneys, we realize insurance companies are motivated to minimize clients’ recoveries and generally not willing to offer reasonable compensation proportional to the full impact of an injury until they proceed through effective discovery and the attorneys are prepared to try the case to a verdict. Gilman Law has developed consulting relationships with a team of safety, medical, investigative and financial experts in building our clients’ cases. Gilman Law LLP is a leading personal injury law firm and is here to help you receive the best compensation for your injuries. If you have been seriously injured, or know someone that has been injured or killed, it is important to contact a lawyer with substantial experience in personal injury law in order to help protect your legal rights. Many of these actions require victims to file a claim within a strict time limitation in order to commence an action for recovery. For a free evaluation of your case, please fill out our Free Florida Accident Injury Consultation Form, or CALL TOLL FREE (1-888-252-0048) today. 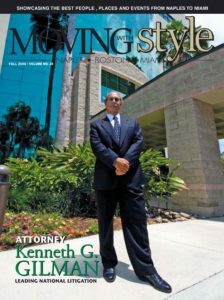 For Massachusetts Personal Injury Victims, please fill out our Free Massachusetts Accident Injury Consultation Form.